Oil on canvas (unstretched), sight size 9 1/2 x 7 3/4 in. 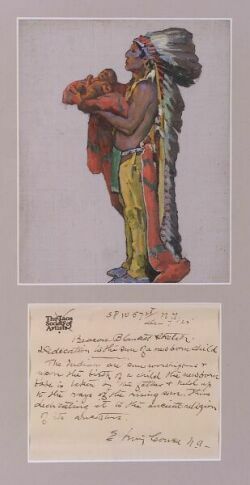 (24.2 x 19.6 cm), framed. N.B. 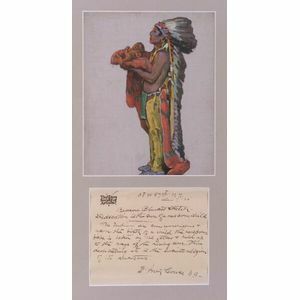 The lot is framed with a short description of the piece, hand-written by the artist on the Taos Society of Artists letterhead.